Blackberry from RIM is a global name in business and corporate smartphones or PDAs . Many of you might be knowing about Blackberry storm , which recently changed their corporate label to a multimedia phone maker .Blackberry was the one of the first kind of phone to introduce robust email service to a mobile device . Another plus point of their device is the large and easily accessible QWERTY keypad suitable for businessmen . BlackBerry phones were not using a touch screen which had already became a sensation in latest phones . They fixed this issue by the release of BlackBerry storm in November 14, 2008 . Other BlackBerry storm specification includes a 3.2 mega pixel autofocus camera , 3.25 inch HVGA 360×480 Multi-touch screen capable output 65K colors ,BlackBerry OS 4.7 ,528 MHz Qualcomm processor with 128 MB RAM and 1 GB internal memory . In India BlackBerry storm is available via Airtel and Vodafone for competitive tariff rate . First edition of Blackberry storm was lacking WiFi support ,and RIM faced so many negative reviews for this and the buggy touch screen . So they are working on a new BlackBerry storm ( Blackberry storm 2 ) and it would be ready by September 2009 . BlackBerry storm is offered in US by Verizon Wireless , Vodafone in India UK ,Germany ,France and Italy ,Telus and Bell in Canada . Since its the first RIM phone to include touch and screen virtual keyboard , it has some disadvantages as reviewed by users and bloggers on touch sensitivity web browsing and other on phone operations. This might get fixed in the upcoming BlackBerry storm 2 along with the lack of WiFi . 3.2MP digital camera and video recorder with auto focus and 2 digital zoom . BlackBerry Enterprise Server to connect with enterprise level applications and services . BlackBerry messaging service for instant messaging and social networking . BlackBerry storm comes with 1GB installed memory and its upgradeable upto 16GB . Assisted GPS with BlackBerry maps . Format ,send and receive email on the fly with world renowned BlackBerry email service . 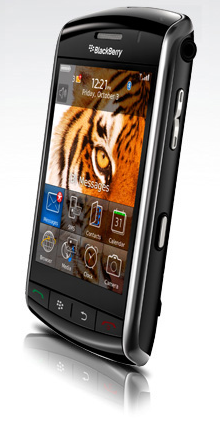 BlackBerry storms has stainless steel back and chrome frame for effective protection from stain and damage . 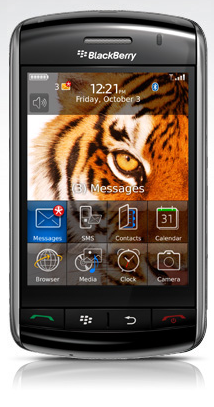 BlackBerry storm was released on India By Vodafone-Essar on January 2009 . Indian price of BlackBerry storm with out contact will be around 27990 INR (580$). 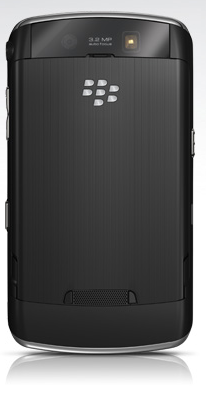 Update : Blackberry storm 2 price and specification .